Danielle Leigh has more on this exclusive new video. 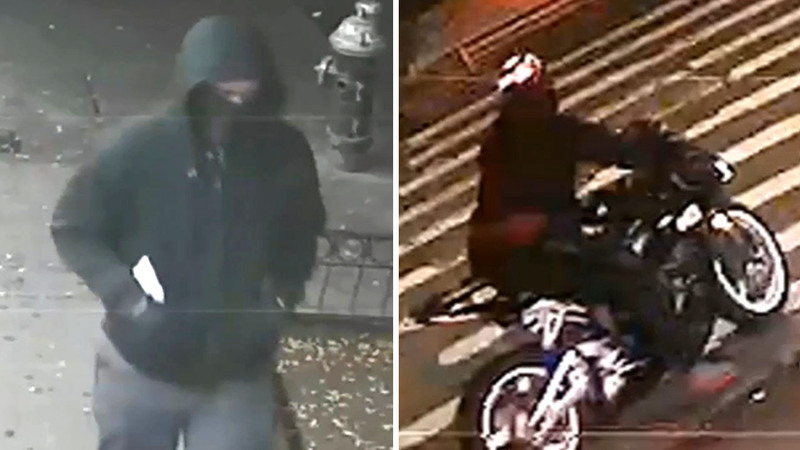 BRIGHTON BEACH, Brooklyn (WABC) -- Two suspects wanted for vandalizing a Brighton Beach supermarket Nov. 29, have yet to be identified, according to detectives with the New York City Police Department. Members of the New York City 'Arson & Explosives Taskforce' -- comprised of the New York City Fire Department, Police Department and Federal Bureau of Alcohol, Tobacco, Firearms and Explosives -- sat down exclusively with 7 On Your Side Investigates as part of a Crime Stoppers report in the hopes of generating new leads on the case. "They were looking to burn down the store and cause some injuries," said NYPD Detective Andrew Cohen. Surveillance video shows two individuals, one on foot and another on motorcycle, approach Tashkent Supermarket around 2:30 a.m. on Wednesday, Nov. 29. In the video, the individual on foot enters the store and lodges two Molotov cocktails inside, setting rugs beside a hot bar on fire, before running back out of the store and hopping on the back of a motorcycle with a driver waiting to whisk him away. Employees rush to put out the flames. "They didn't care who was watching," Cohen said of the suspects, who remain unidentified. 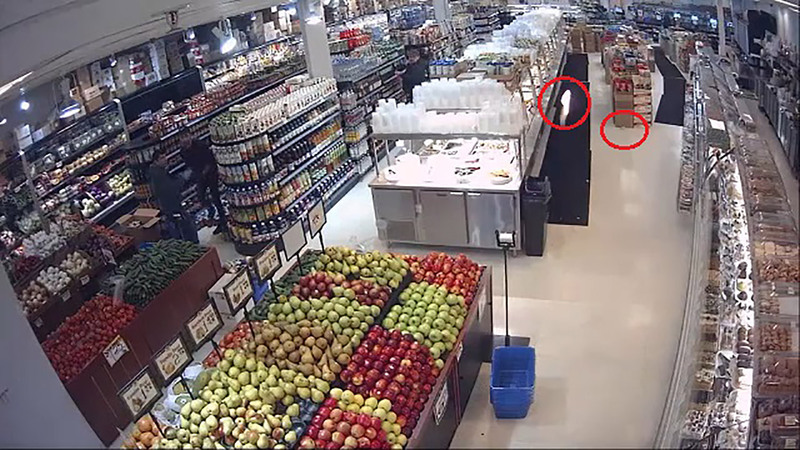 Watch raw surveillance video showing a Molotov cocktail being thrown into a Brooklyn supermarket. Cohen called the attack 'targeted.' What isn't clear is who is behind it. Tashkent Supermarket opened just six months ago to serve the growing Uzbek community in the largely Russian, Brighton Beach neighborhood. Store Manager Maks Gavrilov said he can't imagine who would do this. "I know everybody is happy," Gavrilov said regarding the addition of his store to the neighborhood. "I don't know who can do this." Now burn marks scar the floor serving as a constant reminder to shoppers of the attack. "We have leads we are following," Cohen said. "It is scary, but then we live in a scary world," said Nasir Shakoor. "I walk around the area all the time with my kids so it's definitely disconcerting," said Aysha Rodriguez. The attack carries heightened penalties. A Molotov cocktail is listed a destructive device under federal law and could bring up to a 10-year penalty. "The devices are intended solely for making fire," ATF Special Agent Bryan Miller said. "It really is a weapon." Detectives said the manner in which the fire was extinguished allowed them to recover a significant amount of evidence from the scene. That material is being tested now for DNA, fingerprints and to determine what kind of ignitable liquid was used. Anyone with information about who was behind this attack is asked to call Crime Stoppers at 1-800-577-TIPS for an up to $2,500 reward.